TIE DOWN SPACE IS AVAILABLE AT NAPER AERO! NOTICE: Runway lighting system has been changed. Runway lights are available 24 HRS. Activate with 5 clicks during daylight hours. Lights are on low at dusk with photocell control - 7 clicks for full intensity. Non-Equity Membership: If you are renting a hangar from an equity member please note, use of the Airport Facilities Requires Membership, either equity or non-equity, in the Naper Aero Club. On the left click the "Non-equity Membership" button for addition information and forms. 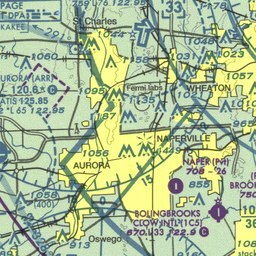 Naper Aero Club is a private residential airpark community. We are a group of friends and neighbors who share a unique passion for flight, enjoyed through the convenience of a residential setting. We're glad you're here. Have a look around, and let us know what we can do to make this site better!